Take a look at the furniture samples on the 5th floor of the John C. Hitt Library, and stop on by Room 511 from noon to 2.00 p.m. on Thursday, January 27, or from 10.00 a.m. to 2.00 p.m. on Tuesday, February 2. Come on in and tell us exactly what you think of the furniture! 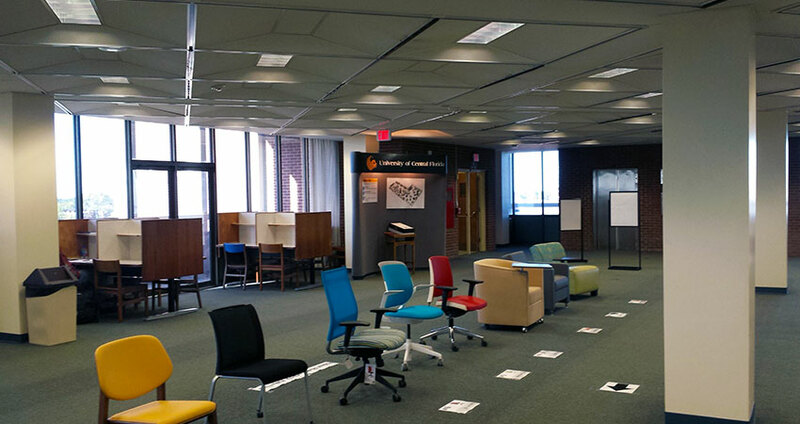 You can rate the furniture at your convenience at library.ucf.edu\sit so we know exactly which pieces are your favorites!